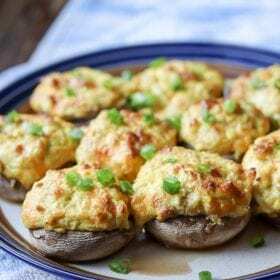 Curry Crab Stuffed Mushrooms are full of flavors that aren’t found in the typical stuffed mushroom. They’re a great addition to appetizer menus for parties, game day and weekend dinners! 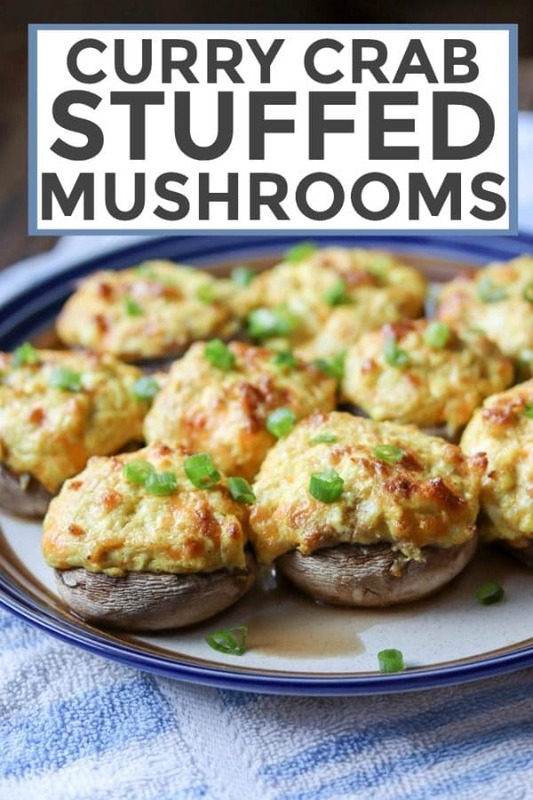 The idea for these stuffed mushrooms came to me during my birthday weekend in September of 2012. Ken and I were vacationing in Fort Myers Beach Florida for my birthday weekend. We were hungry and thirsty for a few beers. After debating on where to eat we ended up at a craft beer bar called House of Brewz. Not only did they have an epic selection of beer on tap (over 50 beers!) they served sushi from a sushi restaurant located in the same building. WIN! After settling in at the bar we ordered beers and an appetizer – curry crab rangoon. OMGEEE. The best crab rangoons ever! In fact, they were so good I decided to recreate them at home. Only my version ended up being curry crab stuffed mushrooms. You can cook these on a grill or in your oven. Double the recipe to feed a crowd. Or to have more for yourself. Pre-heat oven to 350. Line a baking pan with aluminum foil and lightly oil with extra virgin olive oil or cooking spray. Wash the mushrooms and remove the entire stem from each mushroom. In a mixing bowl, combine onion, garlic powder, seasoned salt, curry powder, mayo, sour cream, cream cheese and cheddar cheese. Stir in the crab meat. Stuff each mushroom with about 1-2 tsp of the mixture (it depends on the size of the mushroom) Place the mushrooms on the oiled baking pan and bake at 350 for 20-25 minutes. If using imitation crab meat, chop the meat before adding to the cheese/mayo mixture. If grilling, heat your grill to 350 degrees. Place the mushrooms on a grill pan and cook indirectly for 20-25 minutes. Curry Shrimp Stuffed Mushrooms – made with real shrimp. 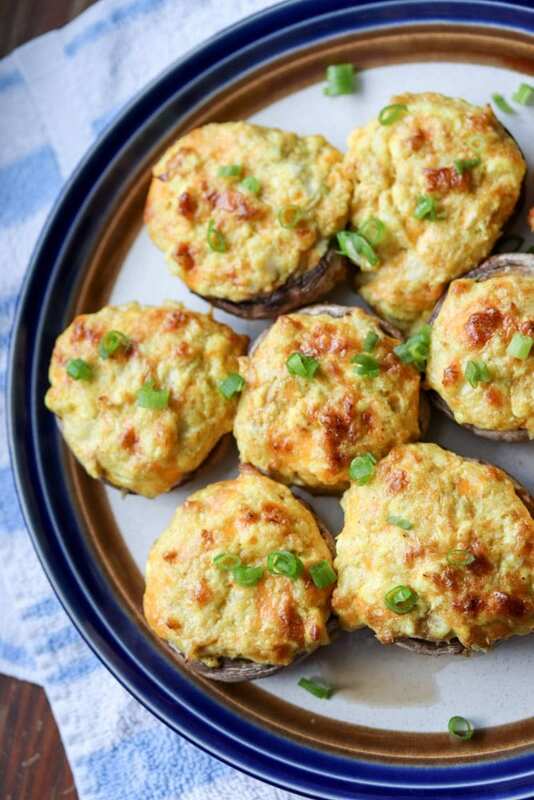 Incredibly tasty – if you love shrimp and mushrooms, you’ll love these stuffed mushrooms! 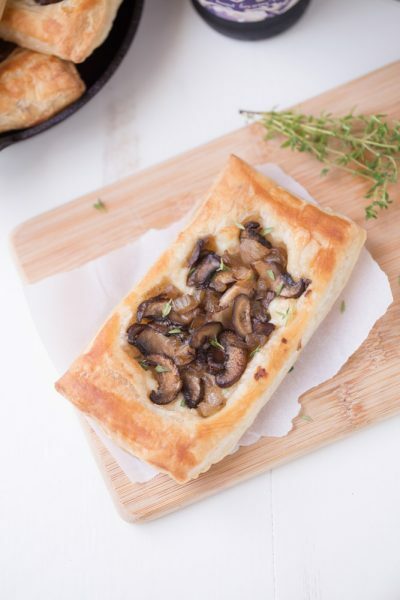 Mushroom and Brie Pastries – buttery, full of flavor and so easy to make! You’ll want to eat the entire batch of these. 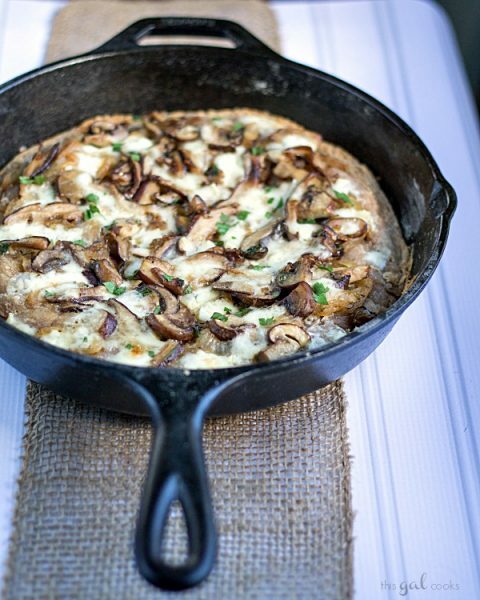 Mushroom Brie Pizza – made with a homemade whole wheat beer crust! 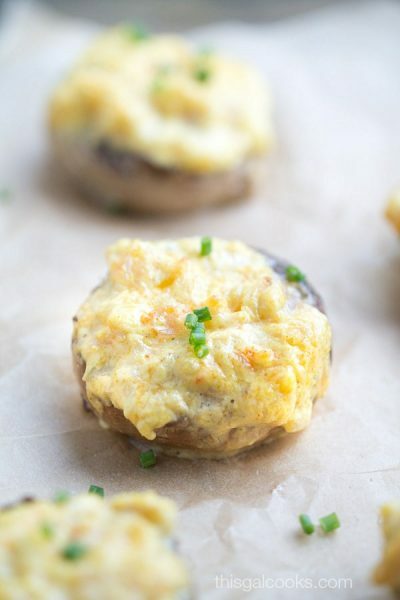 Stuffed Mushrooms are always a party favorite; I love your variation! These are perfect for the holiday season. Pinned and printed :) Thanks so much for linking up to Creative Thursday. Can’t wait to see what you share this week! Have a wonderful week. This is another great one for the super bowl! YUM!! Sounds yummy! Thanks for sharing with us at #overthemoon link party. Have a great week! 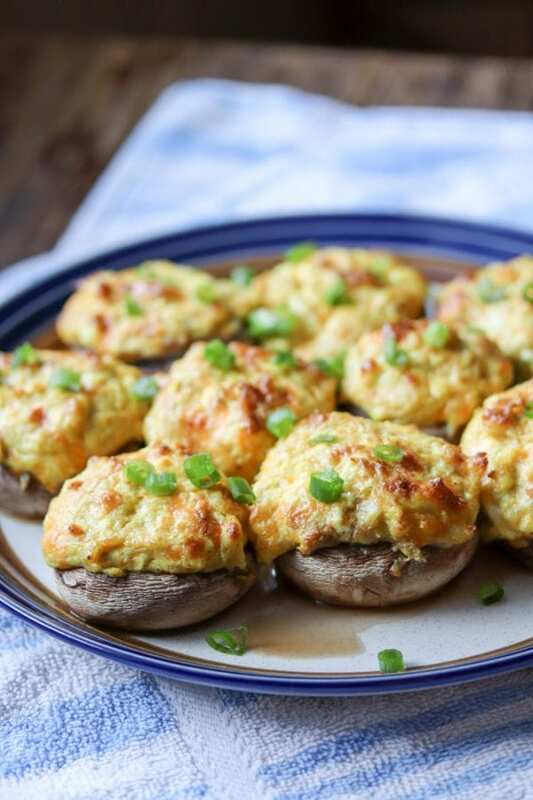 I just pinned your awesome Curry Crab Stuffed Mushrooms! Thanks so much for sharing with us at Full Plate Thursday,we are so happy to have you join us. Have a wonderful week and come back to see us real soon! I bet this would be really good with shrimp too! Yum! Thanks for sharing at the What’s for Dinner party! Pingback: Best Friday Features! -- and Trim Healthy Table Recipe Book Giveaway! Pingback: Great Ideas -- 17 Fall Foods! Pingback: Great Ideas — 17 Fall Foods! – user's Blog!